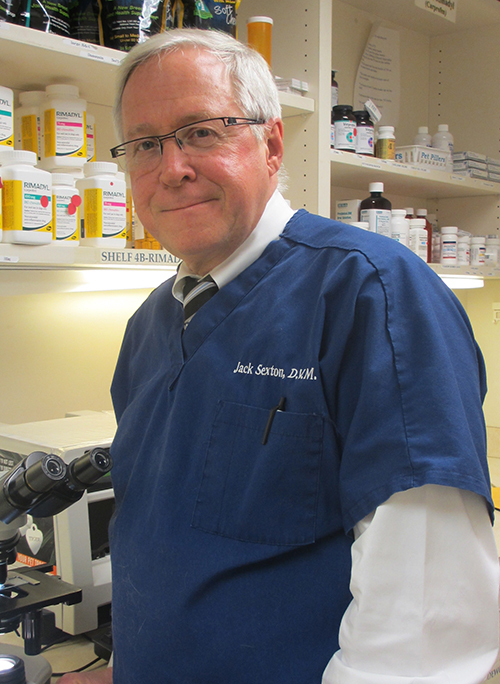 Dr. Jack Sexton is the director of McLean Animal Hospital. He and Dr. Stork purchased the practice from Dr. Charles Patton in 1993. Dr. Sexton is a native of Northern Virginia. He received his Bachelor of Science in Animal Science and Master of Science in Veterinary Science from the University of Maryland. He graduated from the University of Georgia, College of Veterinary Medicine in 1978 and joined McLean Animal Hospital as an associate in 1979. 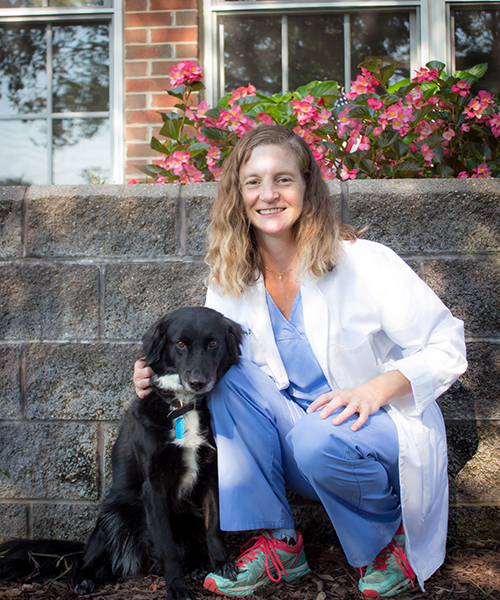 Dr. Sexton has served as president of both the Northern Virginia and the Virginia Veterinary Medical Associations. He has served as a member of the Fairfax County Animal Shelter Advisory Committee and is a volunteer at that shelter. In addition, he has supported various rescue and humane groups in their efforts to further animal welfare. The Sextons share their home with three dogs. 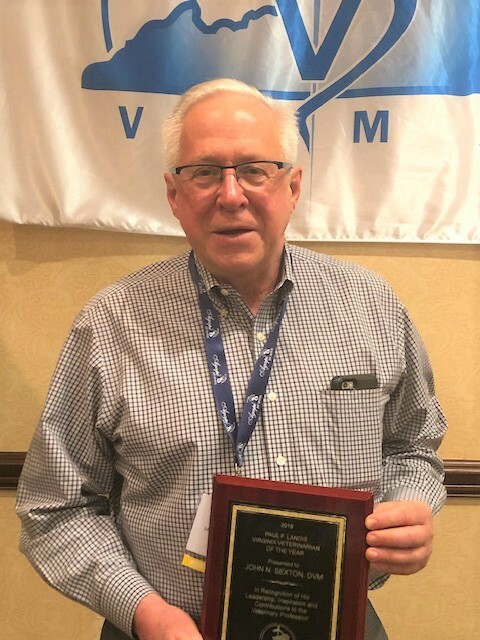 Dr. Jack Sexton recently received the Paul F. Landis Veterinarian of the Year award during their conference in Richmond, VA on Saturday Feb. 23, 2019. Congratulations Dr. Jack Sexton! 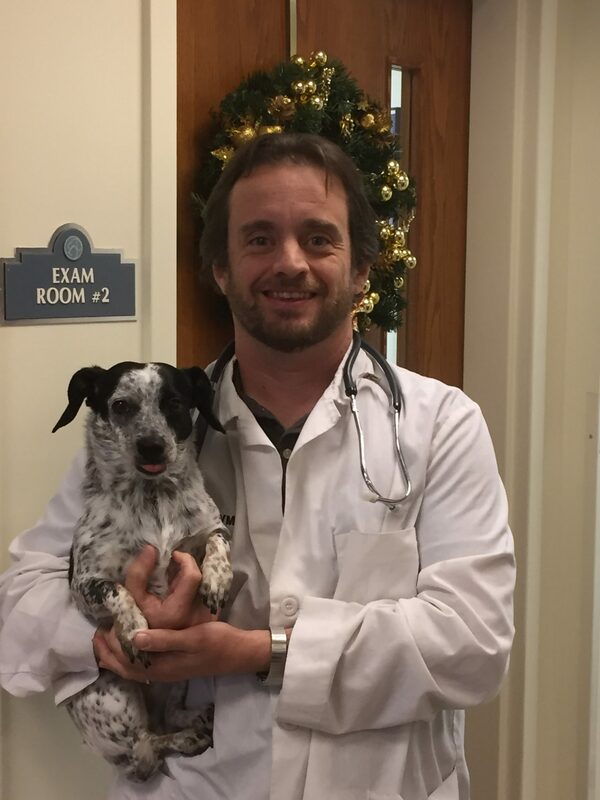 Dr. Stephen Stork is the co-owner of McLean Animal Hospital. Dr. Stork has been a resident of McLean since 1966. 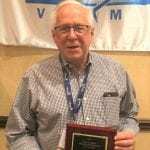 He received his Bachelor of Arts in Biology from the University of Virginia and his Doctor of Veterinary Medicine from Virginia Tech in 1986, joining McLean Animal Hospital as an associate after graduation. His special interests include running, golfing, and skiing. He also thoroughly enjoys participating in his children’s school and after school activities. His wife, Ellen, is also a veterinarian. The Storks share their home with 1 cat and 2 dogs and one son and one daughter. Dr. Kate Salkeld was born in Elizabeth, New Jersey but raised in Georgia. 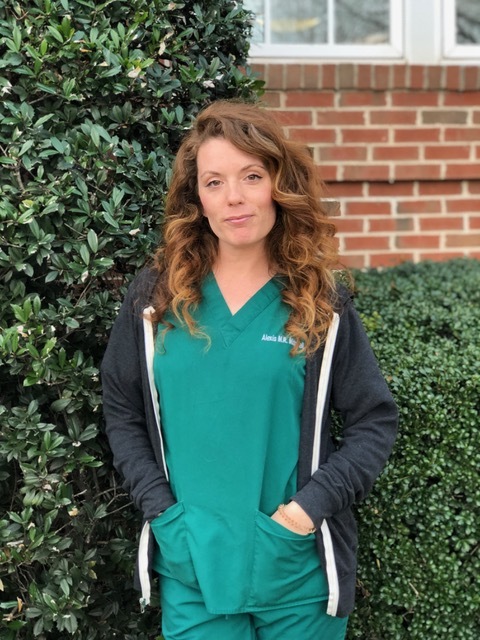 She received her Bachelor of Science and her Doctor of Veterinary Medicine from University of Georgia and joined the McLean Animal Hospital after graduation in 2002. She shares her home with 2 dogs named Maddy and Bug, 1 cat, Lily. In 2007, Dr. Salkeld began volunteering with Alley Cat Allies spay and neuter clinics. Dr. Norway joins us from Central Florida, having spent recent years practicing in the Orlando area. She earned her Bachelor of Science degree in Animal Science from Cornell University and graduated from the University of Florida College of Veterinary Medicine in 2000. She and her husband, Rob, have two sons (one a Washington native) and a Border collie mix named Hula. They are glad to be back in Northern Virginia with its many opportunities. 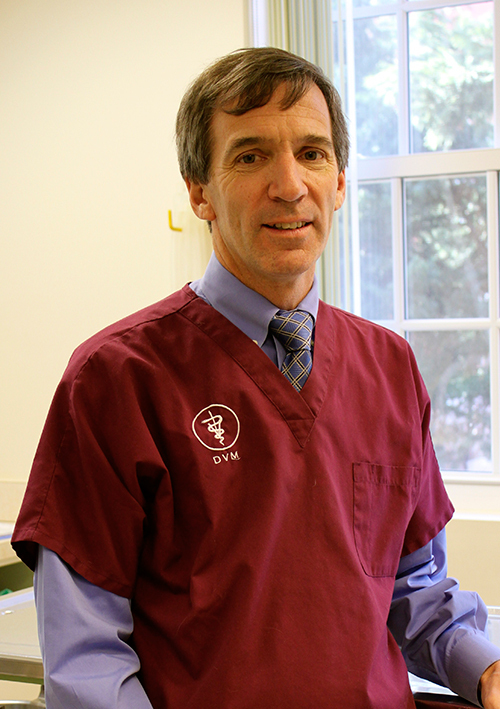 Dr. David Clark joined the practice in September of 2016, after relocating from San Francisco. He graduated from U.C. Davis in 2003, after doing his undergraduate training at Wesleyan University in Connecticut in 1996, and a Masters in Animals in Public policy through Tufts’ School of Veterinary Medicine in 1999. Upon graduating from Davis he worked at a wide variety of hospitals throughout the San Francisco area. He and his wife, Lindsay – have two children – Isadora – age 9, and Griffin age 5, as well as two cats – Icarus and Squig. Although they all miss California, they felt it was important to raise the two children closer to family – who live in Arlington, and are generally spread up and down the East Coast. Outside of work, his interests including camping, hiking, running, as well as anything involving the beach – swimming, snorkeling, surfing, and laying in the sun! 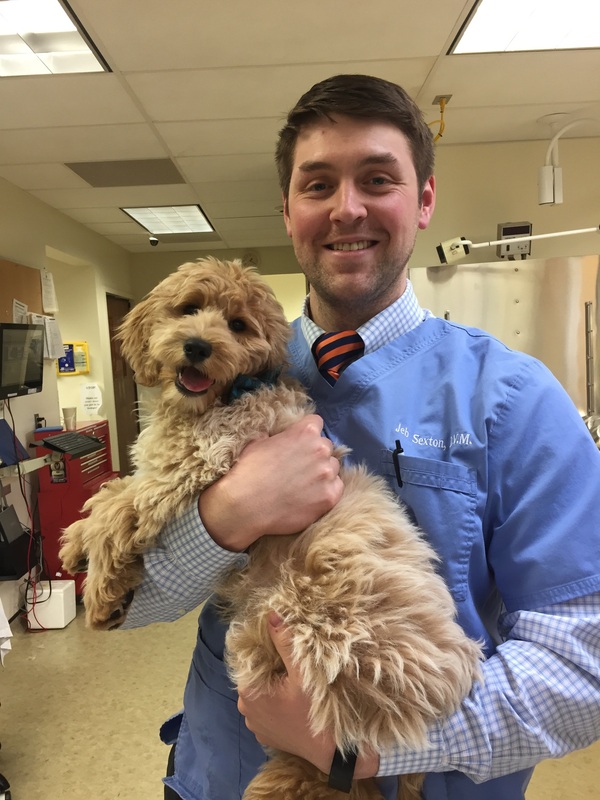 Dr. Jeb Sexton joined McLean Animal Hospital as an associate in January 2017. A graduate of Auburn University (B.S. 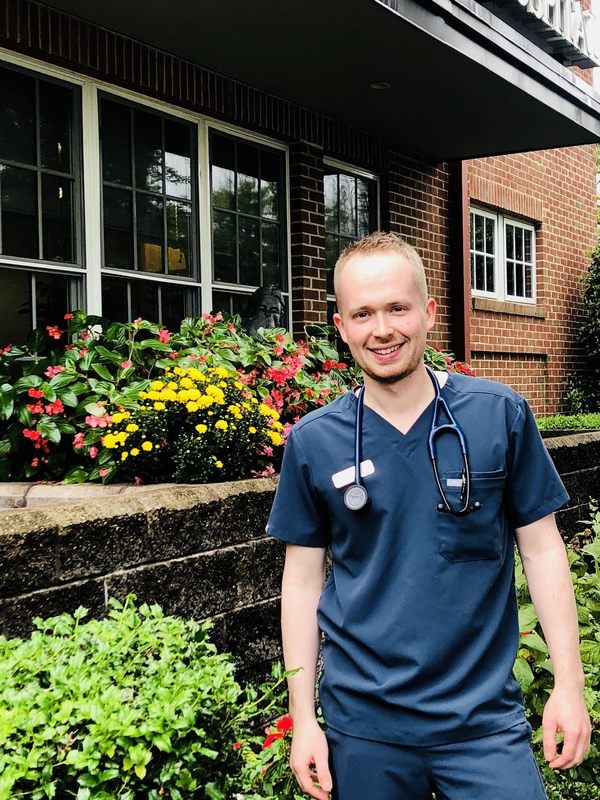 2011, DVM 2015) he spent his first 18 months practicing in a small animal veterinary clinic in Atlanta, Ga.
Dr. Sexton is the eldest son of hospital director, Dr. Jack Sexton, who gave him his first job at Mclean Animal Hospital as a veterinary assistant in the summer of 2005 (what a smart hire!). Dr. Sexton’s professional interests include sports medicine, soft tissue surgery, and internal medicine. In his free time he enjoys the great outdoors including fishing, hunting, and hiking. He shares his home with his beloved rescue dog, Bo. Dr. Dana Hardison is a Northern Virginia native and has been apart of our team of doctors since June of 2016. 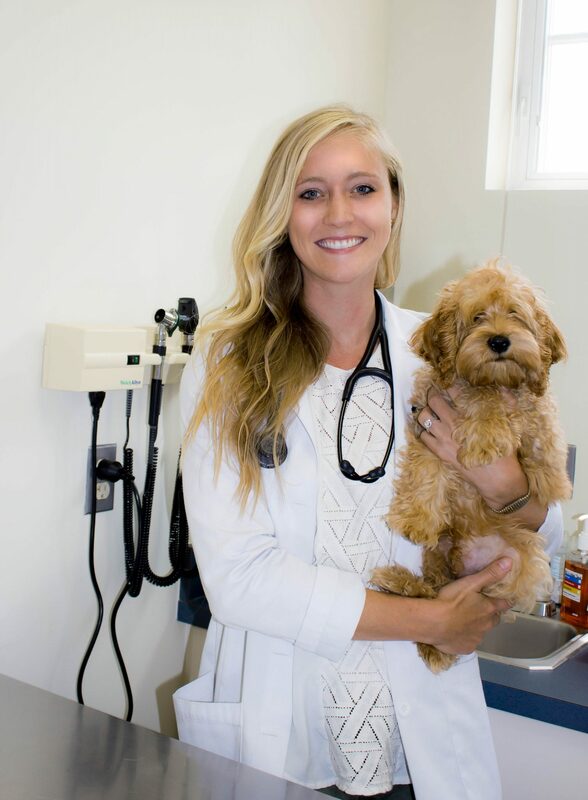 She finished her undergrad at Clemson, and graduated from Virginia Tech for Veterinary Medicine. She loves to hike and fish in her spare time. She recently got married in May of 2017 to her husband Curt, and they live with their 14 year old Chocolate Lab named Coco. 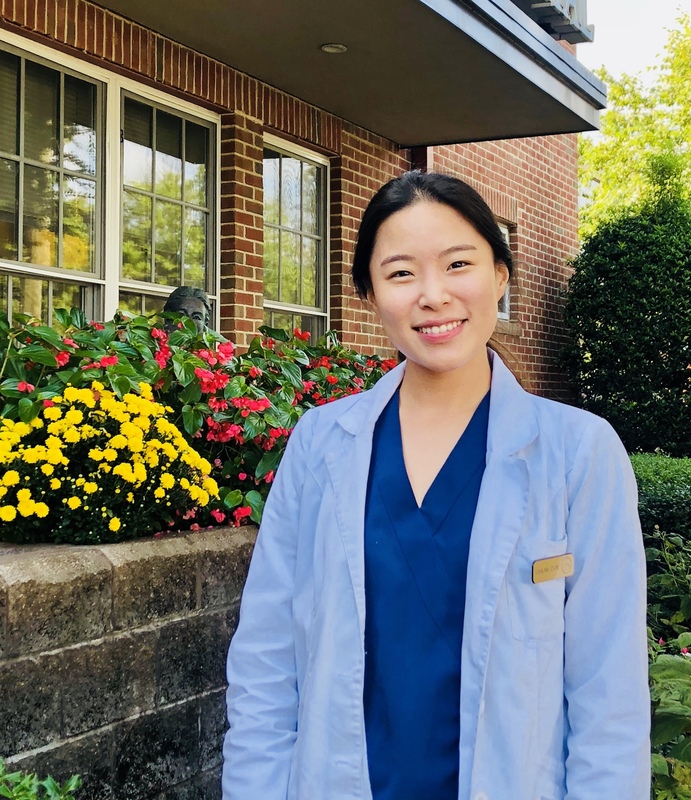 Dr. Min joined the practice in July of 2018, after graduating from Virginia-Maryland College of Veterinary Medicine in Spring of 2018. She majored in Biology as an undergraduate at Virginia Tech and is originially from Richmond, Virginia. She loves to be outdoors and travel in her free time. She shares her house with her two cats, Coco and Mellow. Dr. Ryan Broyles was born and raised in Northern Virginia. 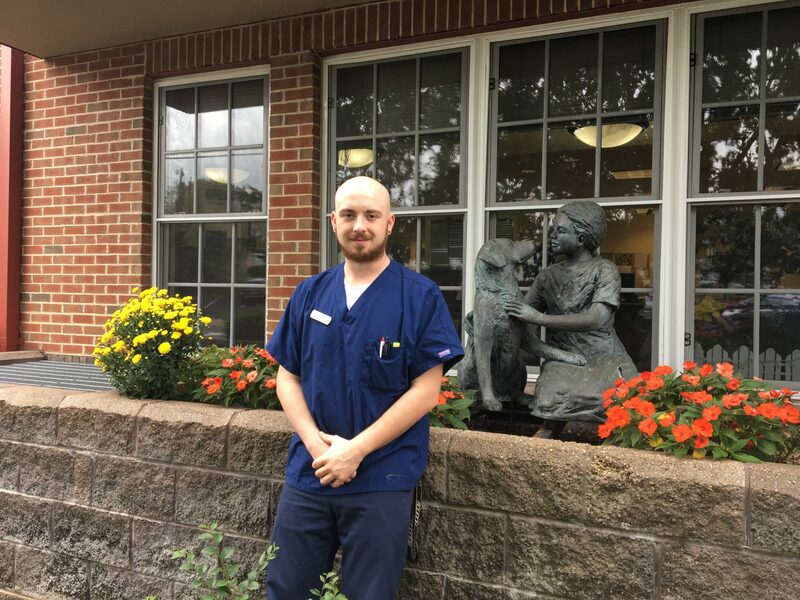 He received his Bachelor of Science in Biology from James Madison University and his Doctor of Veterinary Medicine from Virginia-Maryland College of Veterinary Medicine, joining McLean Animal Hospital after graduation. Dr. Broyles is a member of Phi Zeta, the honor society of Veterinary Medicine. He is passionate about senior pet care and making sure our geriatric dogs and cats are comfortable and happy in their golden years. Outside of work, he enjoys spending time with family, friends, and his 14-year-old Greyhound, Maddie. Susan began working in the animal health care field in 1975 in northern California. In September of 1994 she began working at McLean Animal Hospital. 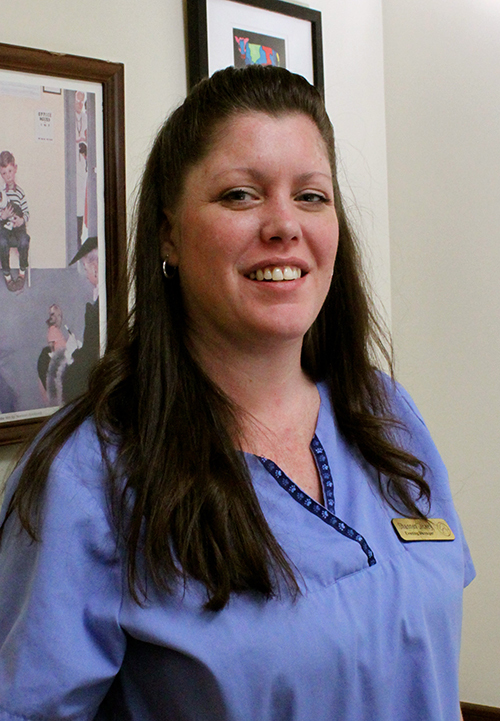 She started as a receptionist, then office manager, and since 2005 as the practice manager. 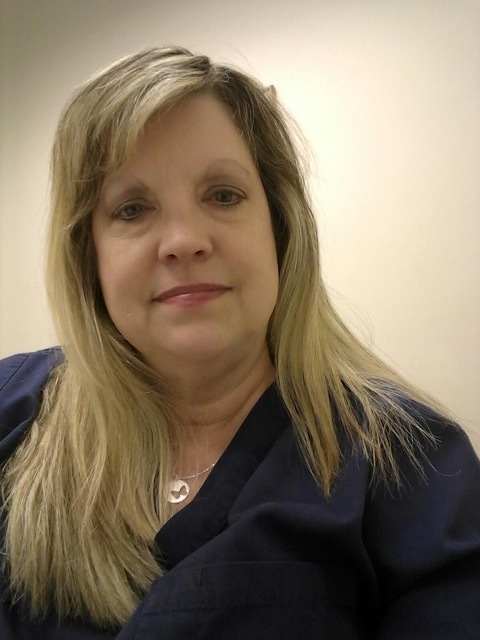 Susan has a Certificate in Veterinary Practice Administration from AAHA , Perdue University. She has 3 cats Eblis, Jackson, Maestro, and one Dachshund named Charlie. Susan has one daughter and two granddaughters, one who lives in the area and one in Idaho. Besides her love of animals and animal related causes she loves container gardening, cooking, movies, music, reading, and hopes to start doing a lot of traveling. 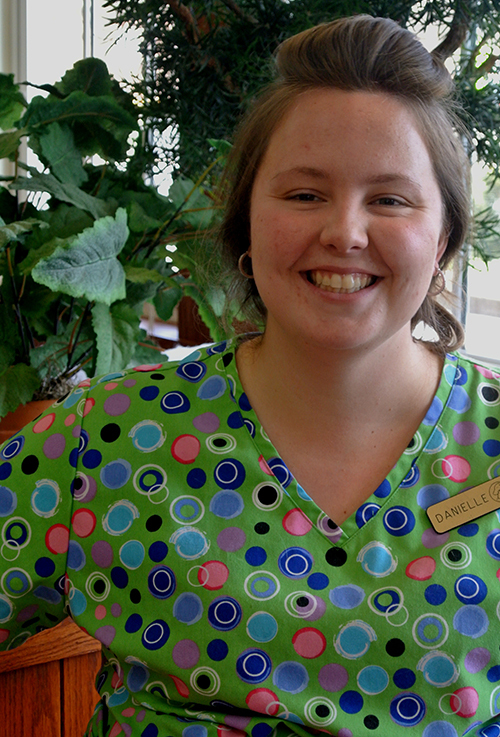 Danielle joined our team in January 2008. 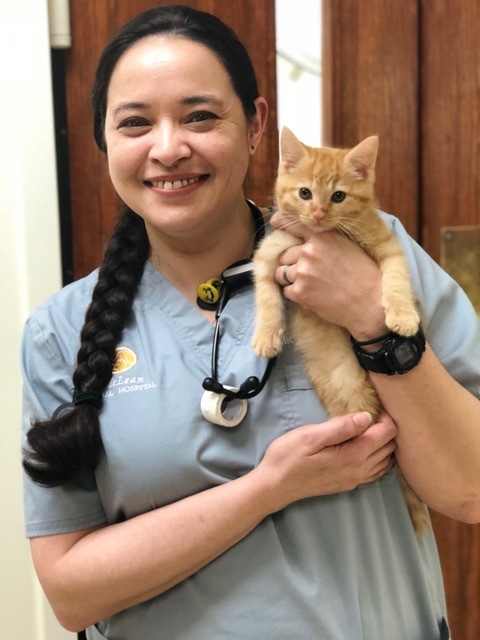 She has always loved animals and while working as an assistant went to school and graduated in 2014 from Northern Virginia Community College Veterinary Technology Program. Other than animals, her hobbies include scrapbooking and baking. Danielle loves to bake and she is amazing at it! She can make a cake that is too beautiful to eat and could rival the best on Food Network Challenge! She needs to open a dog/cat bakery to fuse her two passions. She has 2 cats, Baxter and Jasper. Megersa joined the MAH family in July of 2012. He was born in Ethiopia and moved to the states with his family in 2003. 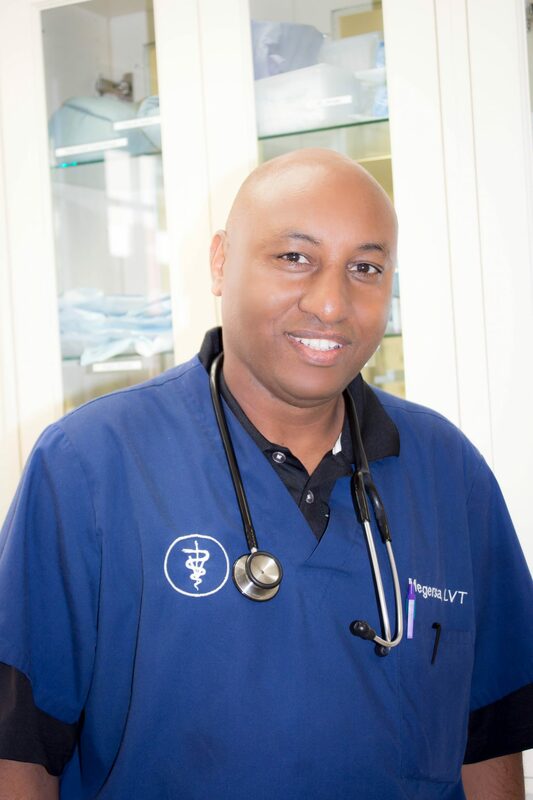 He has more than two decades of professional experience in Veterinary Medical Sciences and Laboratory Medicine. He earned multiple degrees including A.A.S, BA and Masters of Public Health (MPH). 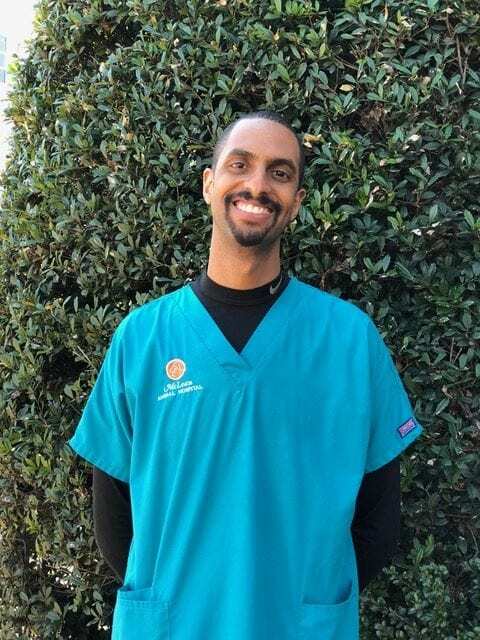 Upon graduating from Northern Virginia Community College Veterinary Technology Program in 2007, he worked at a wide variety of hospitals throughout Northern Virginia. He currently does not have any pets because his sons keep him pretty busy! Amber is an Idaho native who joined MAH in May 2018. She graduated from Bel-Rea Institute in Denver, CO with her degree in Veterinary Technology in 2012. From there she has moved to Germany, then Hawaii and now to NOVA all thanks to her Husband and the Army. She will eventually leave us for a new location but in the meantime, she enjoys seeing all the area has to offer with her husband, their dog Twitch and cat Cayden. Alexis believes that by treating animals humanely we better understand the value of treating one another with compassion. 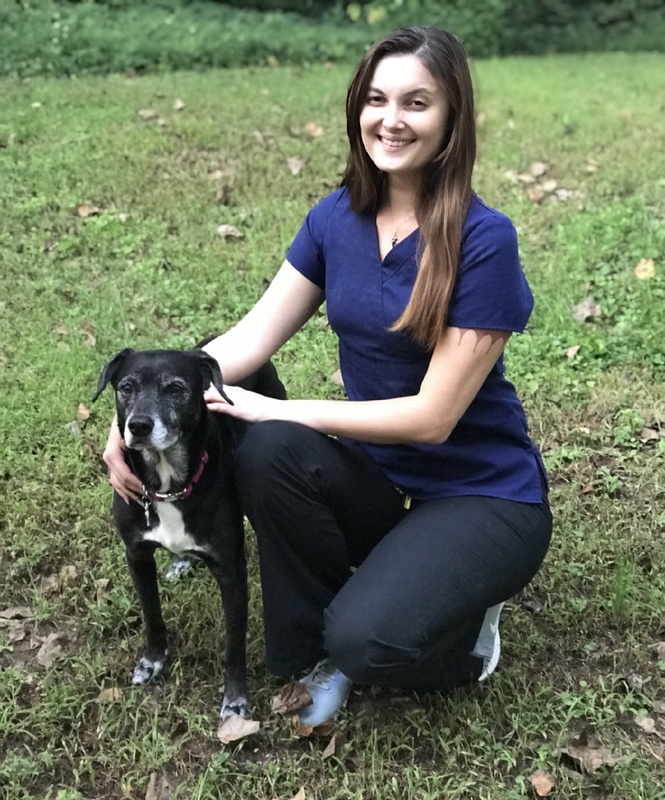 Her purpose is to serve her community in the area of animal welfare to help foster this sense of compassion by using her skills as a licensed veterinary technician (LVT) to contribute to animal welfare. 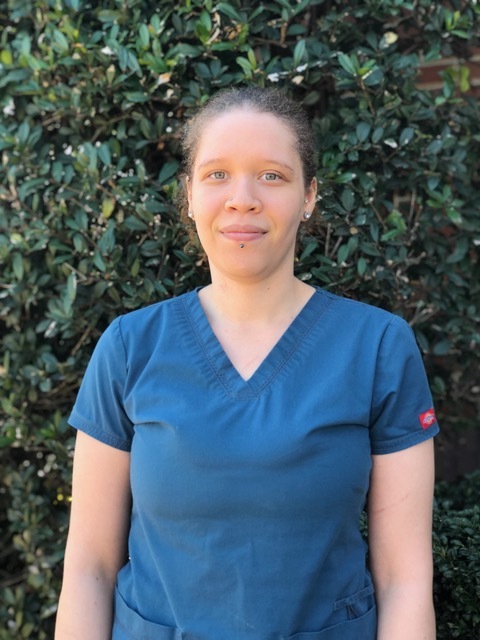 Alexis has worked in the fields of animal health and welfare for over a decade with roles ranging from providing loving care to shelter animals to animal emergency preparedness and response during Katrina to working at the National Zoo and to offering a blend of restorative yoga and animal therapy. Her current project is NamaSpay, an effort to increase awareness about World Spay Day and its message of spay/neuter as the most effective way to help our homeless animal population. 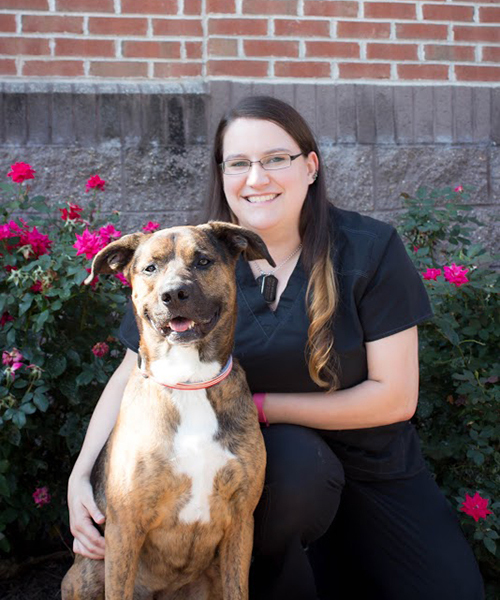 Alexis graduated from the veterinary technology program at Northern Virginia Community College in May, 2012. 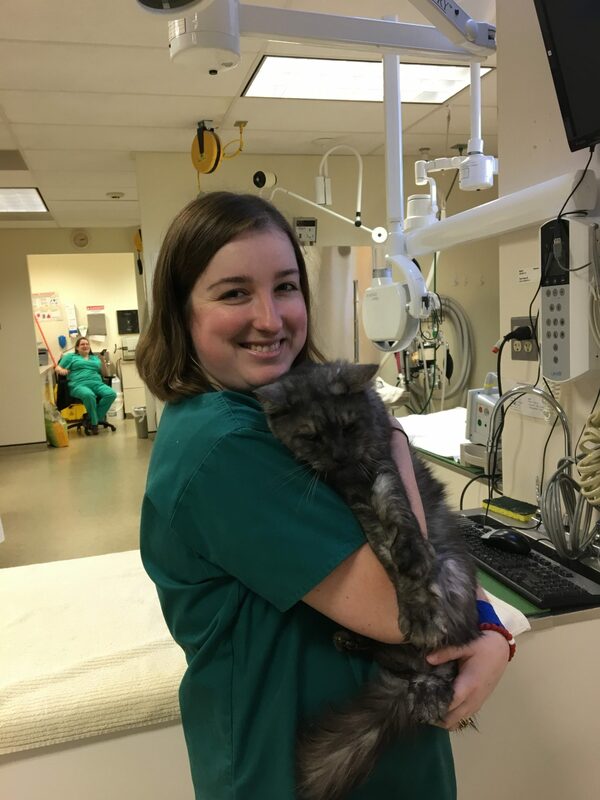 She presently works as an LVT with the ASPCA anti-cruelty team and with us here at McLean Animal Hospital. 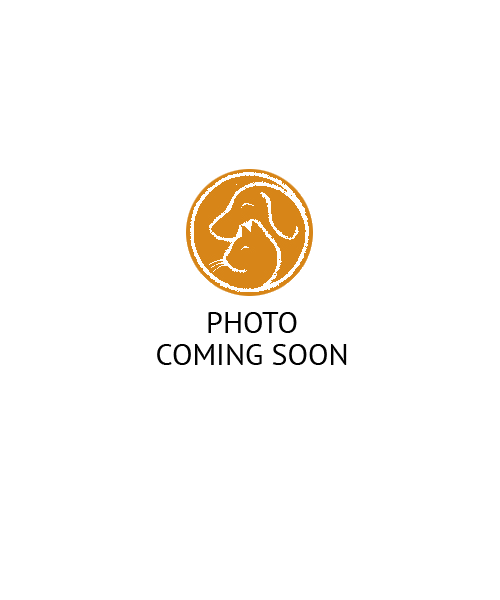 She also operates her own specialty in-home care service Pawticular Pet Care tailored to your pet’s specific needs. Michele is a native Northern Virginian who started her career in Veterinary Medicine here at McLean Animal Hospital in 1998 as a CSR. Getting “bit by the veterinary bug”, she decided to go to tech school and graduated from NVCC and passed her boards in 2001. She has spent the last 17 years working in emergency medicine for a veterinary specialty practice. She has a special interest in anesthesia/analgesia and all things emergency related. In her spare time she can be found outdoors, whether it’s fishing, camping, kayaking or her favorite pastime, horseback riding. 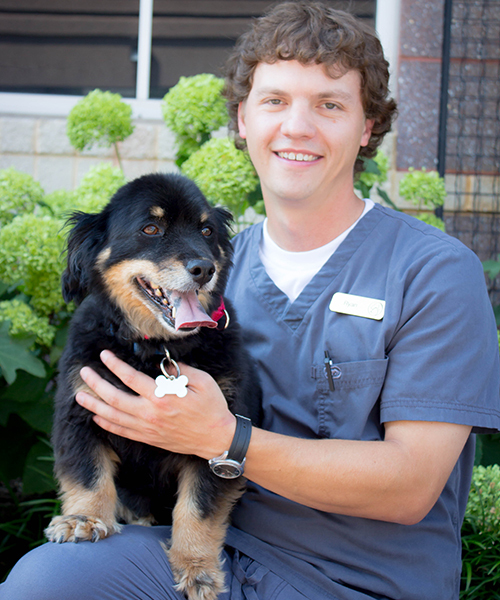 Justin has worked in the veterinary filed for many fortnight (since 2008). He is a jack of all trades and enjoys working on his truck. He lives with his girlfriend Sierra, who is also in the biz. In their free time, they like to explore the great American outdoors. They share their home with three cats, Killian, DiNozzo, and Monkey, who enjoys watching Kitty TV (a hamster named Jack Skellington). Piers has been with us since October of 2016. 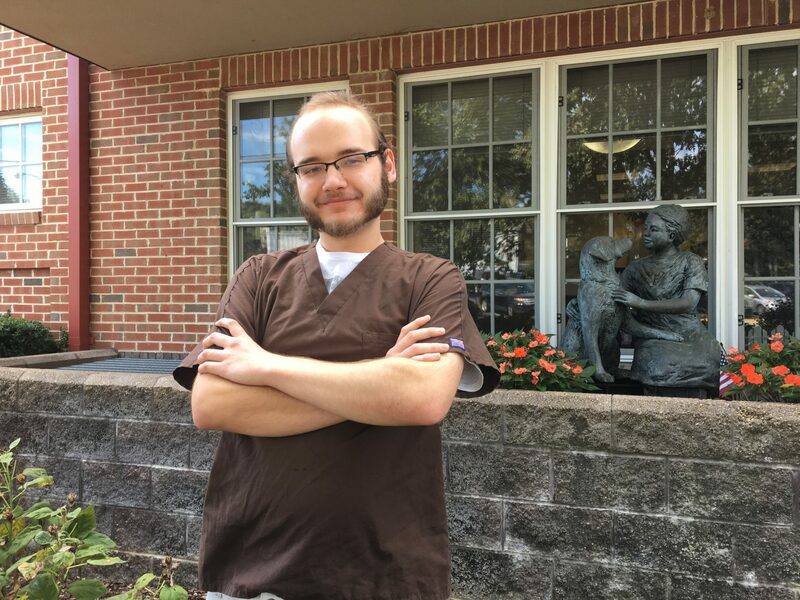 He loves working at McLean Animal Hospital because he genuinely loves helping people. In his free time he is a model painter, digital artist, musician, and plays video games. Greg has been with us since June of 2017. He is originally from and still lives in Bethesda, Maryland with his two dogs, Sam and Josie. In his free time he likes to do competitive paint balling and he plays rugby. He has worked with children in the past and made his way over to working with dogs and cats. 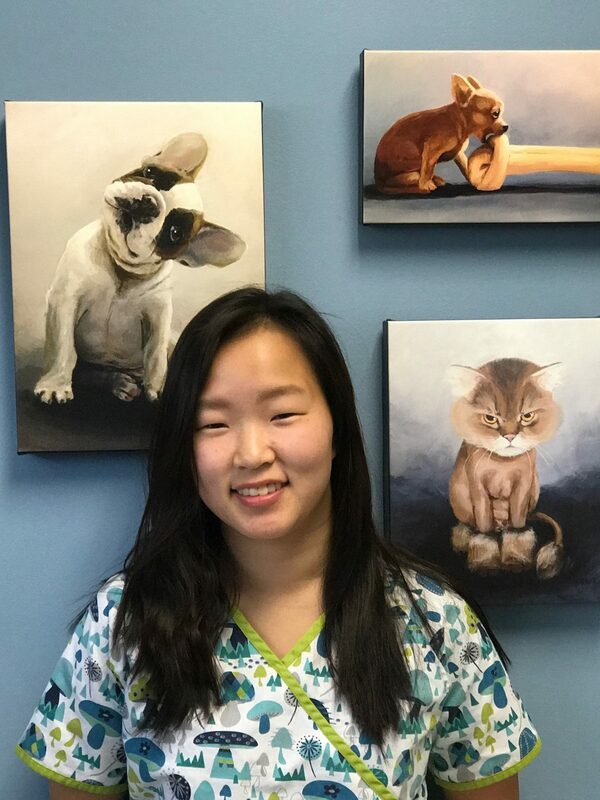 Geri has been with McLean Animal Hospital since November 2017. Originally from Texas, she recently relocated to Virginia for her husband’s job. Geri has always had animals in her life including rabbits, ducks, horses, cows, and even a Shetland pony named “Shorty” her parents bought for all the grandchildren to ride! Some of her interests include reading, knitting, camping, fishing, and watching football with her family. She resides in Arlington, VA with her husband and rescue dog, a nine-year-old Lab mix named Bella. Melissa recently moved back from Florida. She is currently pursuing her dream of becoming an Extreme Meteorologist. She wants to be like Reed Timmer and will be starting her Meteorology Program Winter 2019. She has been chasing storms like hurricanes, tornadoes, derechos, and other extreme weather phenomenons for years. She was recently in Category 4 Hurricane Irma down in Florida and experienced 100mph+ wind gusts, 10 tornadoes, storm surge, and major flooding. Since Irma, She wants to help find a better warning system, to help save people’s lives and to teach people just how dangerous these storms can be. She will also be helping with rescue/relief efforts after these severe storms. Other than storms, in her free time she enjoys playing sports, hiking with her dogs, and traveling. Tracy Hewitt is a native of Northern Virginia and graduated from McLean High School. After leaving the area for some time, she recently returned and graduated from the Virginia School of Pet Grooming. She has been a wonderful addition to the staff at McLean Animal Hospital, joining us in November 2003. She enjoys working with animals, previously owning dogs, cats and horses. Tracy has a love of good food, good books, gardening and travel. She shares her home with her wonderful little rescue dog Soleil. 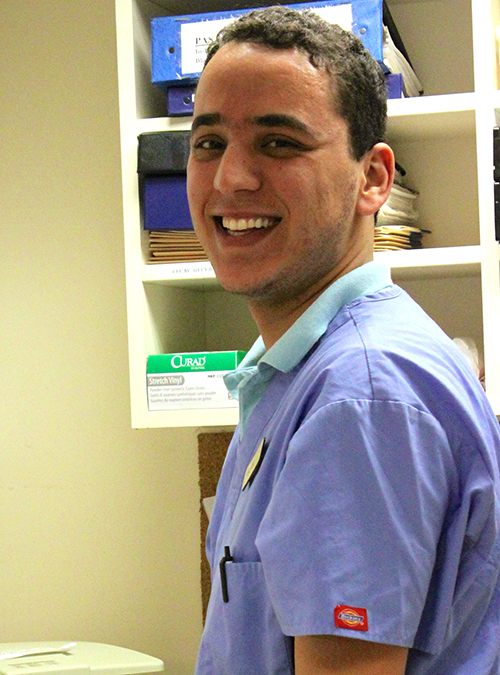 Islam joined our staff in June, 2007. He is from Algeria and attended 1 year of veterinary school before he moved to the states. He got into working with animals because he enjoys helping them and their humans at the same time. He likes helping the animals to get better and enjoys the satisfaction of the owner when the animal goes home happy and healthy. He enjoys swimming, camping, movies, traveling, trying new things, learning new languages. He speaks English, Arabic and French. He hopes one day to go back to school because he loves to learn. Ryan has been working with cats and dogs since 2004, but his appreciation for animals goes back much further than that. He grew up with a Chocolate Lab named “Coco” and throughout high school he routinely enrolled in various nature related elective courses. He began working in animal hospitals in 2008. He especially enjoys working with scared or timid dogs, and building lasting bonds. 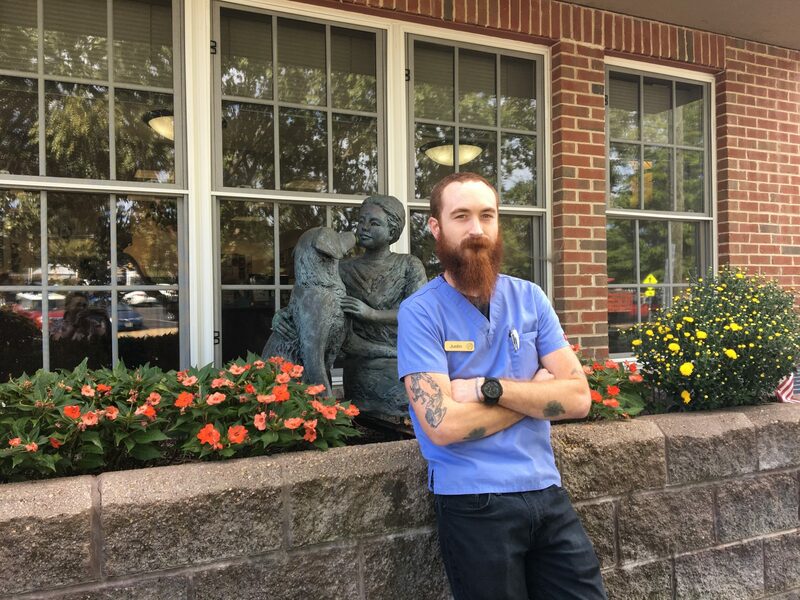 He spends much of his time outside of work in the outdoors, either backpacking in the Appalachian Mountains or mouton biking on local trails, and he share custody of a 25 lb mixed breed dog named “Marty” who was his inspiration for beginning his career with animals. Shilo has had animals ever since she was young and never had the idea of working with them until a family member suggested she try it. 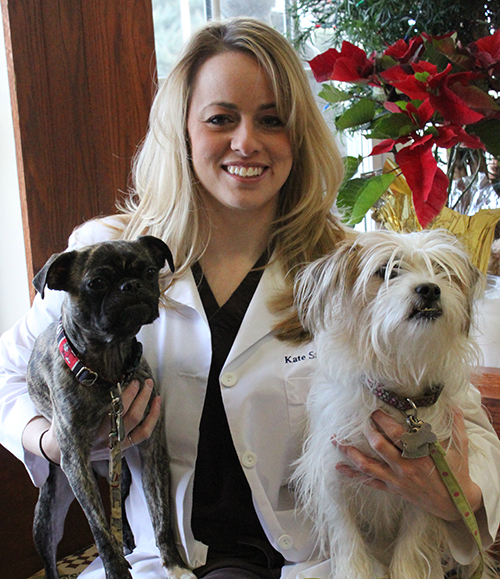 She has loved her work ever since she started at McLean Animal hospital in August 2013. Shilo has 2 dogs at home, Sadie and Pita. 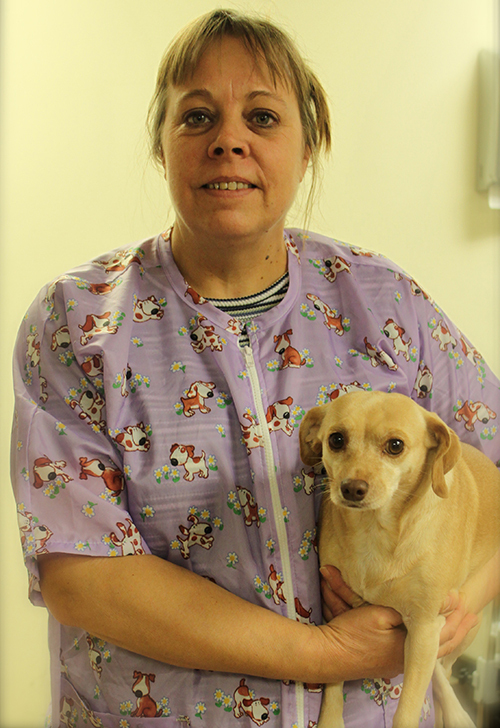 Janna has been an assistant at McLean Animal Hospital since 2005. She is very compassionate and takes wonderful care of all the animals in our care, especially the cats. 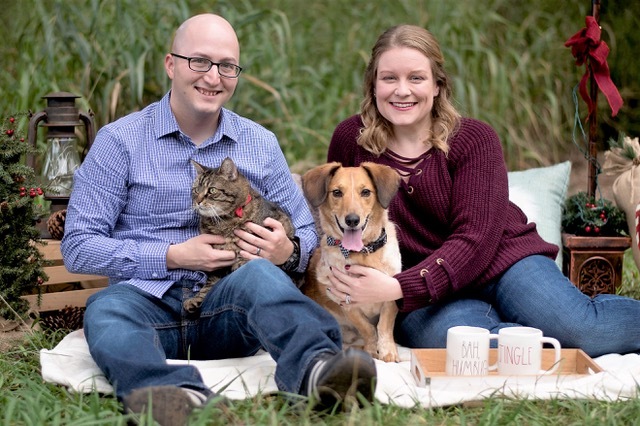 Janna shares her life and home with a couple of very adorable cats and husband Bill, who happens to also be a valued member of our staff here at McLean Animal Hospital. Jackie joined our team as an assistant in January of 2017. 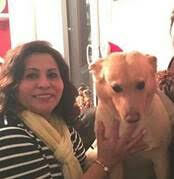 She worked as a kennel assistant at another local animal hospital and as a doggie daycare attendant and floor manager. Her goal is to pursue a career in veterinary technology. She has a lab named Eli. Chris joined our team in February of 2017. He was born in Russia and soon after his family moved to Arlington, Virginia, where he currently resides. Chris realized he wanted to work with animals after taking a senior class in animal science. When not at work Chris likes to spend his free time running, watching movies, playing video games, and sleeping. 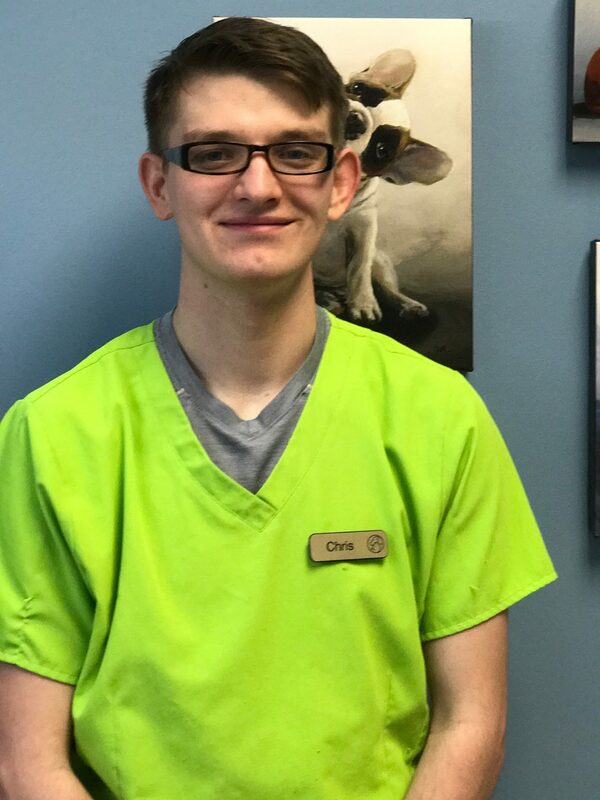 He would like to further his veterinary experience and go to school to become a licensed veterinary technician. Allison has been with us since July of 2017. She has a BA in Psychology and a minor in Criminal Justice. Since she was young, she wanted to work with animals and has just recently started doing what she loves! She loves photography, baking, and reading comic books. 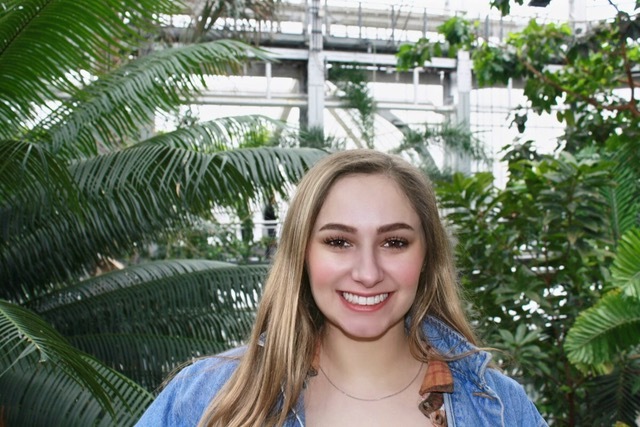 Her goal is to go to school to become a Licensed Veterinary Technician, but since she is passionate about photography, her dream is to become an animal photographer. Najia, also known as Gia, is a DC native. She is currently studying at UDC to obtain bachelors in biology. 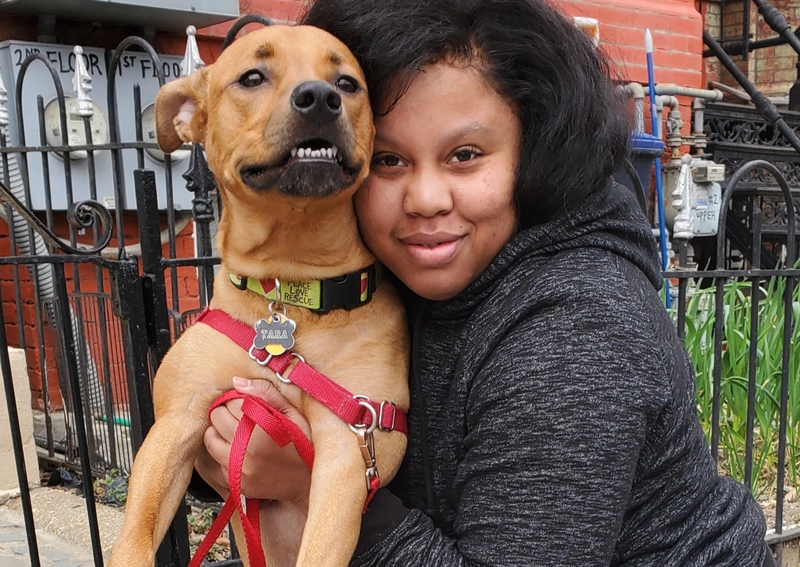 Gia loves to spend time with her dog Tara, enjoying cuddles and long walks. She loves a good horror movie, binge-watching Netflix and traveling. Kennedy is in her second and final year of Veterinary Technology School at NOVA. She will be a Licensed Veterinary Technician by May 2019. She lives in McLean with her rescued 9-year-old black lab mix named Lily, and her family. She has a deep love for handicapped animals and likes knitting in her free time. Kate has been an animal lover since she could walk. Growing up overseas she became passionate about helping, training and rescuing animals. She currently has two large dogs, two cats and a rabbit at home. She started working here back in 2017, starting in kennel for over and year before switching to working in treatment. She started her college education doing pre-vet large animal. She then came home and started school at NOVA, taking classes here until she transfers schools, while continuing to take animal related courses. In her free time she enjoys working on new projects/building things, being active, and of course working with animals! Native from Washington, D.C. Comes from a military family and shares her home with two cats Orchid and Pikachu. Ish is a former zookeeper who has worked with a wide range of animals at the Memphis and National Zoos. He has a pet snake named Logan at home who has traveled with him on all of his moves since 2011. He has been working with us since the beginning of 2019. 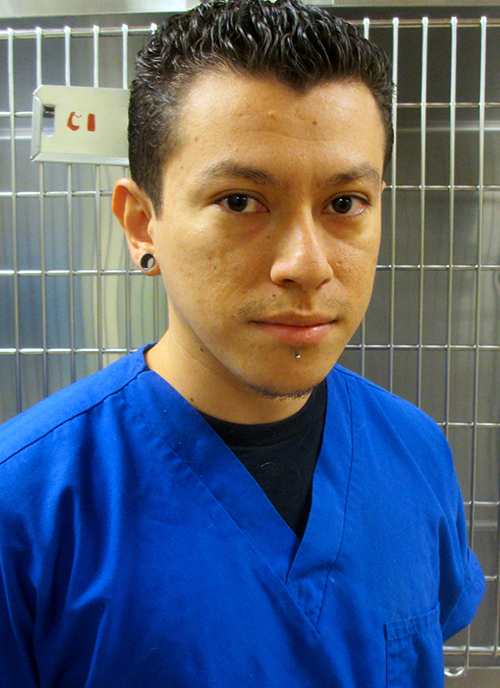 Edwin is our evening Kennel Manager, he has been with us since March of 2007. He is also a part time student at NOVA. Ten years ago, Olimpia adopted “Claire”, a mixed breed with a beautiful coat of light tan hair. Ever since then, “Claire” has been a loyal and loving part of her family. At that time, she was working as a personal assistant to a blind woman living alone in McLean. She would take her seeing eye dog to McLean Animal Hospital regularly where she got to know the doctors and staff. Five years ago, the woman retired and Olimpia was offered a job to join the kennel staff at McLean Animal Hospital. She is now the day shift supervisor and enjoys working with the people and animals here. Olimpia loves spending time with your companions and strives to give them the same kind of love and attention that you do.